You can redeem your points at any time by clicking Redeem on the menu. Our rewards range from $1 to $100, and we're always adding new reward options! 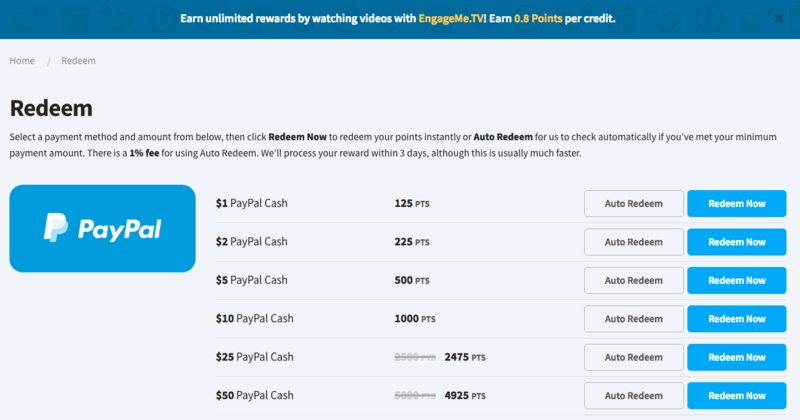 You can check out all the rewards available to you and their prices at https://earnably.com/redeem. Rewards are currently available in USD and GBP. If you'd like to change your local currency, please contact us and we'll make the changes to your account. You can even choose to Auto Redeem a reward, which will automatically redeem your points when you have enough in your account balance! There is a 1% fee for using this feature.